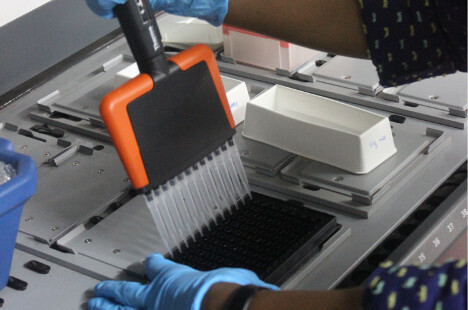 The Bio safety facility in NCBS provides class 2 Biological safety cabinets which allow the users propagation of viruses as well as human PBMC/tissue samples. The facility is equipped with C02 incubators, centrifuges, fluorescent microscope and fridge/freezer spaces for storage of samples. The basic consumables required are also stocked within the facility for easy access .There is also a separate autoclave system for waste management and users are asked to follow strict rules in disposal of any hazardous wastes generated during the experiment .To be an authorized user students are given an orientation and monitored for initial experiments by student representatives. Any research work which is cleared by the NCBS Bioethical committee can be conducted in the facility.